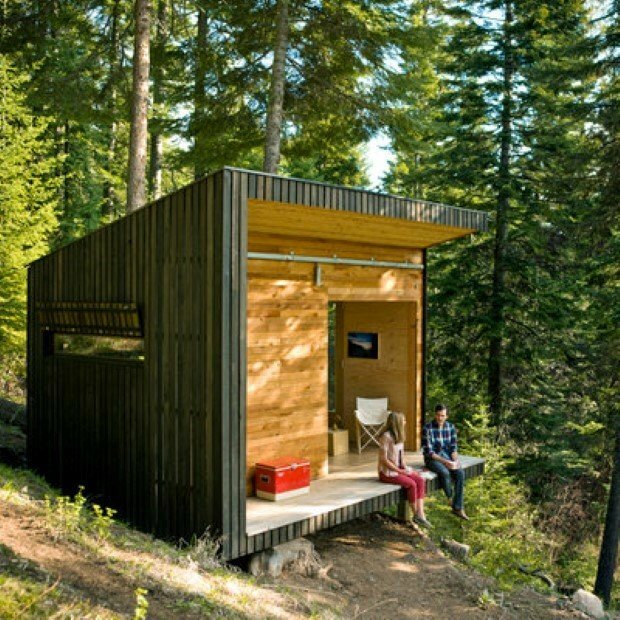 Ryan Lingard and Mariah Morrow built their tiny cabin for $57,000, including the 100- by 150-foot land, which they bought in 2006 for $47,000. 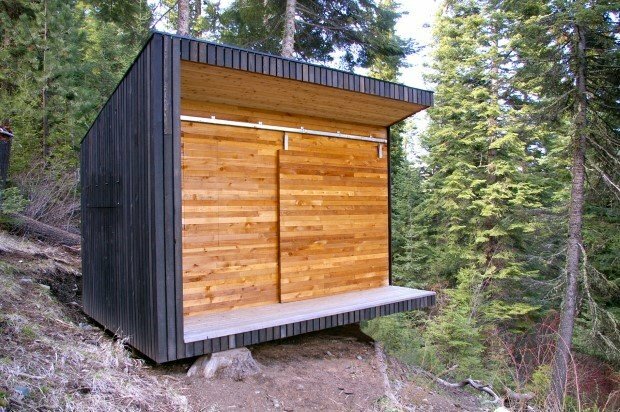 The Signal Shed is a stone’s throw away from the Eagle Cap Wilderness Preserve in Northeastern Oregon, with easy access to Forest Service’s mountain bike and hiking trails. The couple use it as an adventure outpost and makes a trip there at least four times a year. 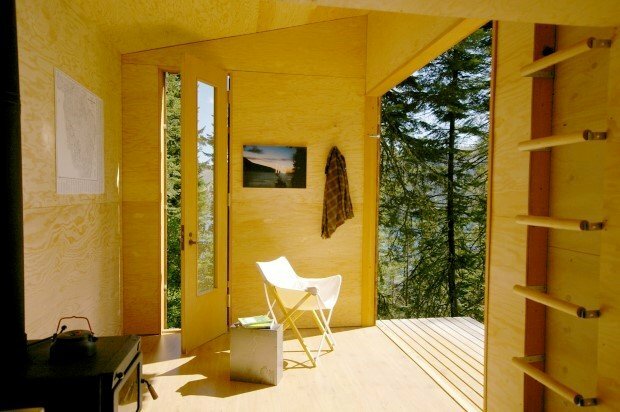 The cabin can be closed and fully secured with watertight draw shutters on all door and window openings. To limit the project’s environmental impact and cost, the original structure was built by the owner/designer using recycled windows and hardware and reclaimed siding and has no traditional utility connections. All materials were carried in from the main road and with a generator providing electricity. 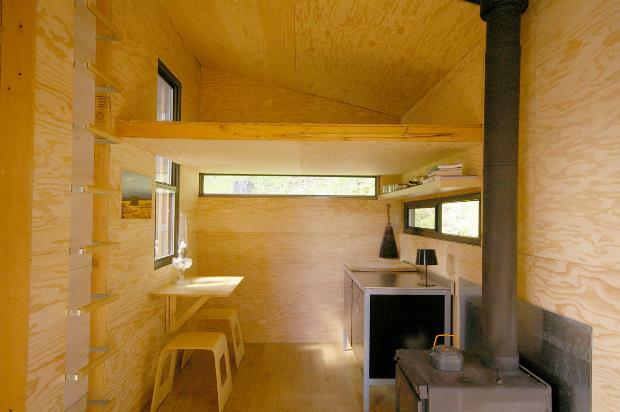 The western red cedar cladding was sourced (from) reclamation of fallen and discarded trees. The windows, door and barn door hardware were purchased at the Rebuilding Center in Portland. Interior casework and flooring is from IKEA. 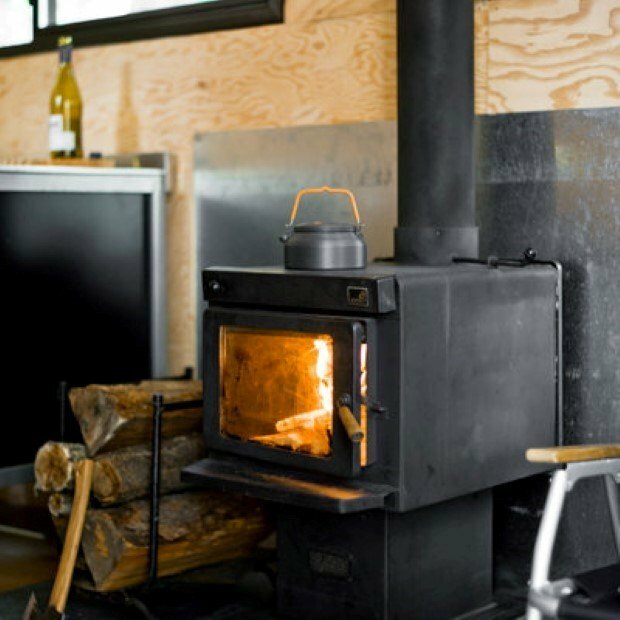 The Signal Shed is entirely off the grid, with no running water or electricity, and only a woodstove for heat. 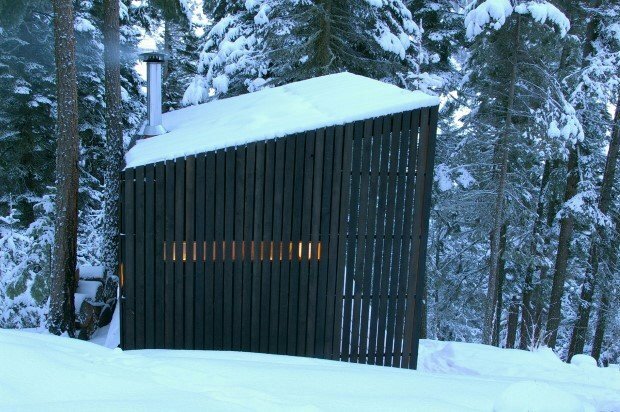 To minimise disturbance to the natural surroundings, the structure was built on a series of pier footings; and drawing reference to the burnt frees found on site, the shed’s exterior cedar screen cladding are darkened with stain to blend into the forest’s shadows. A large sliding door opens the interior space to views of Wallowa Lake and Signal Mountain, assimilating the outdoors to the indoors. 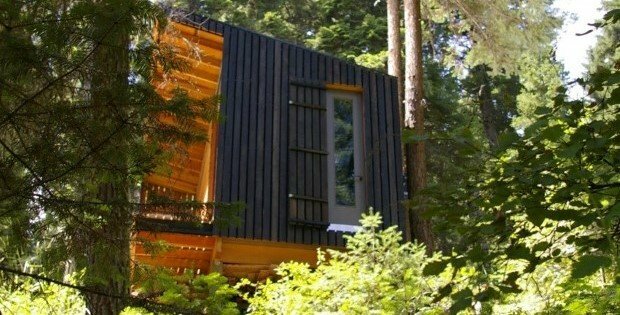 If this sounds like your dream home, you can either purchase the plans from Ryan and hire a builder, or have the prefab modular home delivered to you from $18,000. How awesome is that?